As NetherRealm continues to share more information about Mortal Kombat 11, new details about the Switch version have been revealed. It's been discovered the Miami-based developer Shiver Entertainment will be responsible for the Nintendo release and is also assisting with the PC version. The company's previous work on the Nintendo Switch includes the 2018 Warner Bros. published title, Scribblenauts: Showdown. The CEO of the company John Schappert is best-known for his previous roles at EA, Microsoft and Zynga. The combined leadership team at Shiver has experience working with some of the biggest franchises including FIFA, Call of Duty and previous hits such as Guitar Hero. 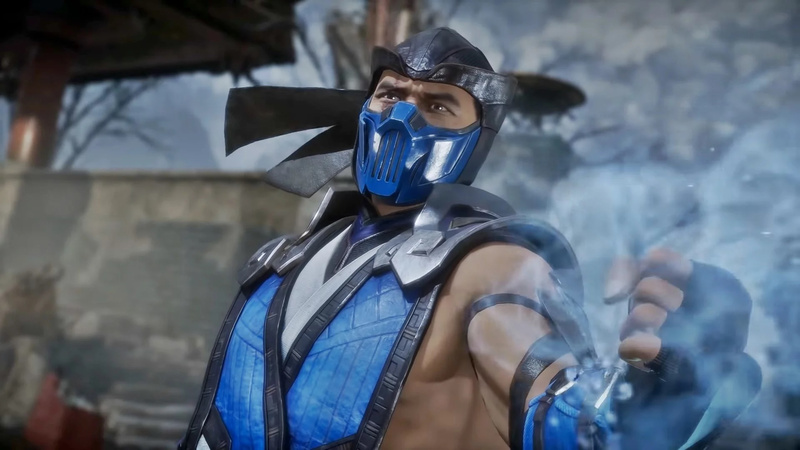 What do you think about Shiver working on the Switch MK11 release? Have you played any of the company's previous work? Okay now I'm shivering. Hopefully this port of MK11 doesn't flop cause as far as I know Scribblenauts: Showdown sure did. seriously though, this news changes my mind on pre-ordering. I'm just gonna wait for reviews. So... that's why the Switch version is delayed. Makes sense. It's no Panic Button, but it renews my hope. C'mon 60fps!!! I think i'll just stick to PS4, im not that desperate to play an inferior port outside. why do i have a bad feeling about this? Cool. Cant wait to play it. I’m curious... why exactly is this bad news? @maruse I'm curious.....have you ever played "scribblenaughts"? As long as they have the skills to get it running and playing well at 60fps,that's all that matters. If the graphics have to take a big hit to achieve that, so be it. Games like Doom and Wolfenstein 2 running at 30fps is fine but not a fighting game. The port of Dragonball FighterZ gives me hope the Switch can handle graphically impressive 2D fighters. While I don't have any interest in the game personally, I do hope they do a good job with the Switch port for the sake of everyone who's looking forward to it. Well these are also assisting with the PC version so maybe they are like Panic Button. Besides the more companies working with the Switch the better. @OorWullie I will say 720p near graphical settings to the ps4 or 900p with lower settings. @CarsonCool I'd be fine with that. Even 720p with lower settings is fine by me as long as it runs smoothly. why? why can't the developer just make it for Switch? Have you ever played "Hit games" like Go Play Lumberjacks, We Wish You A Merry Christmas or Hulk Hoganˋs Main Event? All Panic Button games. @Scottwood101 because they don't have the resource unless you are happy for them to not start development on switch version till the other versions are finished. Should of got iron galaxy to port this. I’m going to give them the benefit of the doubt. But maybe that’s more of an incentive to pull out all the stops. But I’m more interested in the Switch version. 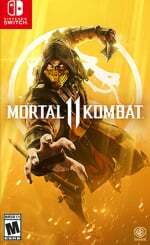 It’ll be nice to play MK 11 on the move if needs be. They're porting this game. Not designing it. So it's simply a matter of programming skill, not creative design. Is it possible to mess up a one on one fighter? Saying that, Unreal Engine 4 games like Tekken 7 and SoulCalibur 6 have to be 720p on the Xbox One for a smooth 60 fps. Probably looking at reduced detail and effects for Switch version. @CarsonCool You didn't? yeah its sadly one of the big trade offs with the Switch platform overall. I personally don't use mine in handheld mode very much so if a game is multi-platform i will get it on another platform. You should do some research around the web, the shortfalls of the system are well documented. @GingerNinja @GingerNinja of course you are. this is probably the most graphically impressive fighter to date. There is absolutely no way the Switch version will have the same level of quality. Wasn't that a terrible game? I cant remember if it was also buggy or not. @YANDMAN I was kidding but yeah, if you aren't a portable guy the switch really doesn't really go along with that since it's mobile hardware weaker than a full console but I'm getting this game on switch/ps4 but maybe they will fix those issues in the next switch upgrade. Calm down guys. Scribblenauts Showdown was bad, but it didn't run bad. Porting a game is not the same as developing it. @HeroponRiki I agree, it wasn't that it run bad, it was just a lackluster experience. I still would give them a chance with MK11. Over the decade there has been small devs who could surprise us with good ports: Panic Button, Crawfish Interactive, Takara, etc. I'm so glad that it doesn't look like the previous MK game. It looked weird. I can't explain it, I just hated the visual style, especially when compared to MK 9 and the Injustice games. Cool, now I know to get this on PS4. .....why is everyone acting like this is bad news? @Itachi2099 Cause there's a likely chance that the Switch port may end up sucking. Let's just hope Shiver Entertainment could prove us wrong. @CarsonCool Yeah i realised that, i was being sarcastic. But on a serious note i know they will obviously upgrade and beef up the system and i hope it's not too long. I love it but Nintendo could really assert some dominance if the system had a much closer playing field with the othger systems. The big concern is with the PS5 specs being leaked, if they wait too long for the revision they will just be once again trailing behind. I love and enjoy a multitude of systems but if the Switch was closer to the others i would happily just support one and it's obviously easier and more cost effctive for us. The takeaway from that interview for me was their mention of reducing geometry (and probably some detail as well) to achieve performance, which is is what I had hoped instead of reducing frame rate. Can't wait to play this game. @everyone: this is extremely normal. Almost all multi-platform games are made by the main team for a single platform with outside teams, very often outsourced, doing simultaneous ports. As stated, this studio has worked on big games like Call of Duty, so it’s not like their only technical achievement has been a 2D game. @retro_player_22 and those worries are based on what exactly? I dont see any track record of “horrible ports” from this developer, so once again, what’s the problem? Hope its a decent port. Saw footage on the other systems and it looks really good graphically. I know it won't look that nice on Switch but can they at least try their best? 60 fps or bust, boys. I say as long as it feels like 60fps it's all good. If they actually manage it then that'll be awesome. @FrankGarrett That's what I'm thinking. If that's the case, rip. Switch version. @Itachi2099 The worry is that if this did end up being a horrible port, chances are it may lead Warner Bros. to believe that the Switch couldn't handle the game and if it did end up being a horrible port, game sales will flop making the creator conclude that this game doesn't sell well on Switch. It really is up to Shiver to prove if they could handle it or not. Anyways this is a team that is very familiar to porting game to Switch so that's a good sign right there. @FrankGarrett you do realise that MK9 on the Vita is 60fps right? Nice to see you writing off the switch version FPS so early. I get the feeling some people here think the Switch version of MK11 will be an interactive Powerpoint presentation on Mortal Kombat characters. @CarsonCool I personally don't have the need or want to take it out very often, but i have a few times. I know that with the release windows of systems so spread out these days they will never catch that cycle until they possibly decide to make a brand new system that isn't the Switch at all. It is handy for the reasons you state, but it would just be great if they could do exact PS4 quality ports without any compromise. They were silly to not include the newer chips when building the machine as they were all obviously available. i don't think people would of minded paying another 30 bucks to have a very much different system. @YANDMAN They just came from a console that even vita surpassed in sales, I will give them a little slack cause it's still a lot better than the wii u but for the Upgraded switch that really isn't an excuse. If we can get near the ps4 quality I think for $300 that should keep 3rd party which will be good. Not a MK fan but maybe they can convince me in time for release. I haven't been keeping up with the new Mortal Kombat games, but I hear the story modes are good fun for being so purposefully outrageous. Shiver is operated by two outstanding industry veterans, so given the proper circumstances, I'm certain they can do a proper Switch version of this game. As long as they make framerate and responsiveness a priority, they really can't mess it up. As long as the keep the frame rate up, I can certainly live with some slightly dumbed down graphics. The trailer looked amazing, so if they can get it 75%+ of that quality with no stutter, they have my money. I normally don't try to figure the thread count of my opponent's shirt during a fighting game, and I'm guessing that since they are also involved in the PC version, it should be pretty. I'm really hoping they nail it. The more "Panic Buttons" there are out there, the better the chance Switch owners have of seeing more third party AAA releases on the platform, and once there are enough resources with the skill set, we should see more same day releases across all systems. @proof21 I think it will be hilarious if all the characters look like Scribblenaut characters. @MysteryCupofJoe Could you imagine how many comments would be in the reveal story!?!! !